It’s the first weekend of December and you know what that means. Time to get serious about buying holiday gifts. And there’s no better way to say, “Happy Holidays” than a bottle of wine or a handcrafted item straight out of Bucks County. This weekend, you can buy and see it all, and it’s just beginning. At Bucks County Taste, we are all about celebrating local food and businesses. This Friday, December 4, head into the heart of Doylestown for Foodie First Friday. This event is a restaurant-centric initiative designed to celebrate culture, community and cuisine. Visitors are encouraged to check out the variety of participating food establishments. It’s a great opportunity to try out a restaurant you haven’t been to yet. Some participating establishments include: Andre’s Wine and Cheese Shop, Artistic Pizzeria, Cross Culture, Empanada Mama, Doylestown Brewing Company, Hickory Kitchen, Spuntino, Station Tap House and To-Yo Japanese Restaurant. For full list, click here. Find the perfect gift at this unique holiday fair which showcases beautiful items from your favorite local farms and artisans. Shop for holiday gifts, hostess gifts, gift baskets, stocking stuffers, handmade alpaca & woolen gifts, local honey confections, gourmet, freshly roasted, fair-trade coffees, door swags from fresh-cut evergreen boughs, preserves, jams & honey gifts, handmade soaps & lotions, handcrafted pottery, handcrafted woodenware from locally grown sources, and more. The Bucks County Foodshed Alliance is hosting the event. Bucks County Taste will be there too with beautiful photography of local Bucks County produce. See you on Saturday! Jerry Fritz of Linden Hill Gardens is hosting the annual Ottsville Holiday Festival on December 5 and 6 from 10 am – 4 pm. Come into the stone barn at his retail nursery and enjoy 25 local vendors offering handcrafted, high-quality products. Food treats will be prepared by Eat This!, Laurie’s Chocolates, Q’s Cookies, Chestnut Hill Farm Gourmet Foods. You can enjoy the food there and then take some home as well. Beverages include hot chocolate, coffee and tea. The Festival features hardworking artisans who have one-of-a-kind items that will most likely, make the perfect gifts for friends and family (or yourself!). There will be vendors with jewelry, wood decor, gourmet foods, potpourri, cookies, tea, skin care and more. Yardley author Becky Libourel Diamond will be at the Doylestown Bookshop to sign her latest book: The Thousand Dollar Dinner. A nonfiction account that reads like a novel, it’s the story of a 19th century culinary duel between Philadelphia and New York. In 1851, two rival groups of food lovers challenged each other to see which city could deliver the most outstanding feast. Philadelphia chef James Parkinson competed against well-known New York restaurateur Lorenzo Delmonico in this duel and the resulting dinner lasted 12 hours, featured 17 courses, and in today’s dollars would have cost nearly $32,000. It’s a fascinating book and a great gift for the foodie in your life. If you haven’t heard of Martine Bertin-Peterson, you’re missing out. She recently talked with us about France and cuisine (which you can read here). You can meet her this Saturday, December 5 from 2 – 4 at the Tubby Olive in Doylestown. 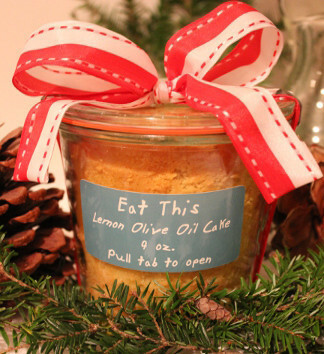 She’ll be creating sweet and savory dishes like Green Olive and Almond Tapenade and Mediterranean Cranberry Walnut Bread, each made and paired with Tubby Olive products.